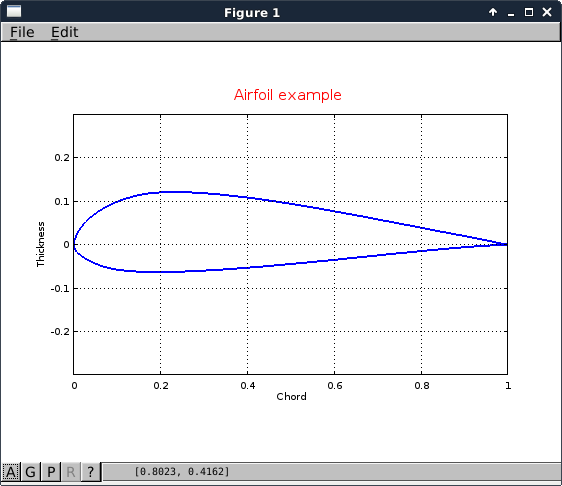 This small program converts any airfoil file in the standard .dat format, in a .png file and .dxf file ( .dat to .dxf ) for use and analyze in CAD programs. We already have a fortran executable program utility on Linux or Windows, here. This program does the same, but programmed in GNU Octave and showing that the simplicity and beauty of the code is unbeatable! All in just 14 lines of useful code (discounting comments and blank lines).